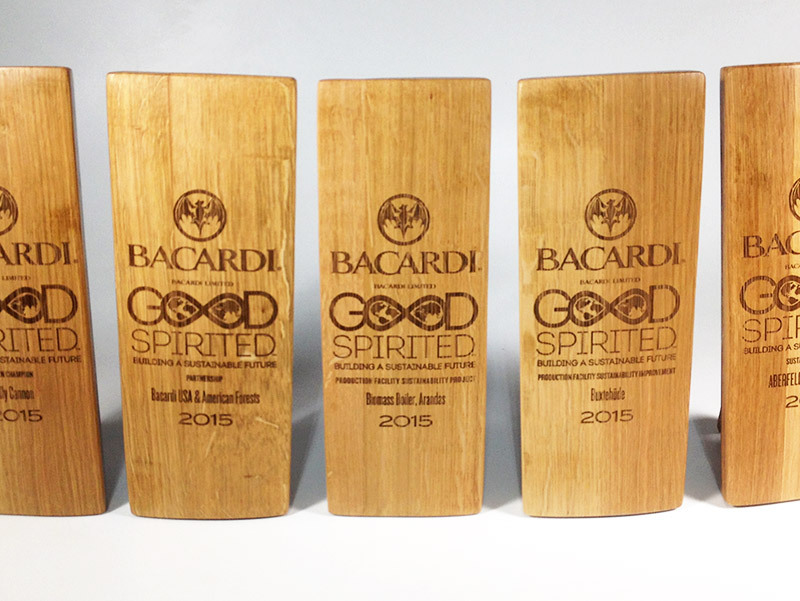 Bacardi - Good Spirited Awards - Pure Black, Inc.
For Bacardi’s sustainability awards, we took used oak barrels and spiffed them into what you see here. 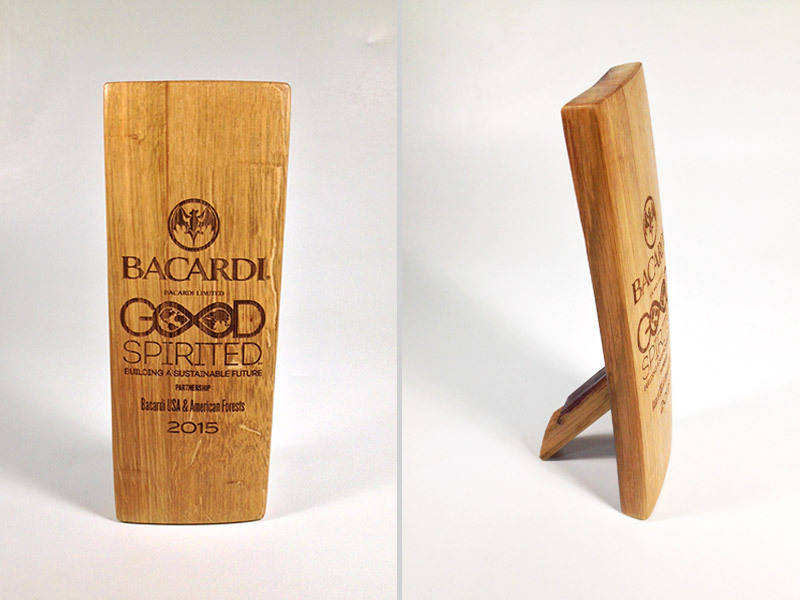 Sawed, joined, sanded, engraved, assembled and sealed with a beautiful satin finish. 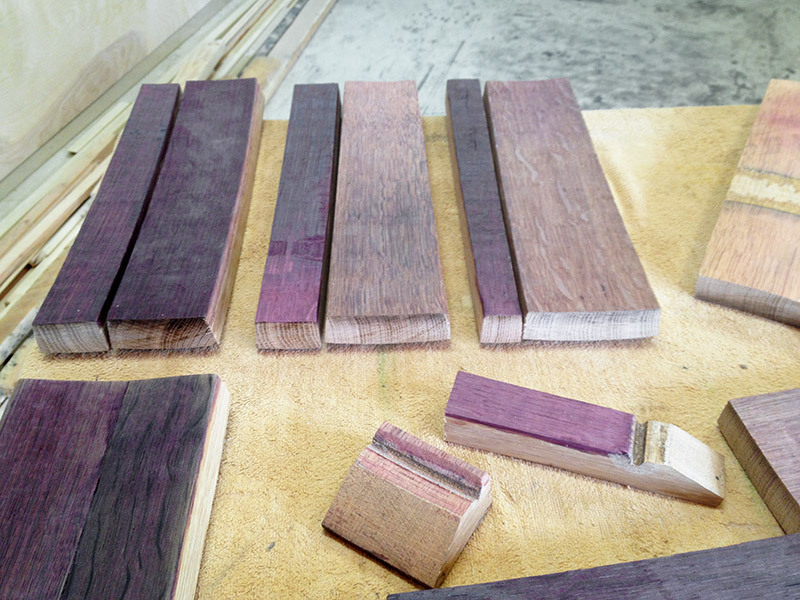 These babies came out so nice. Thanks to Charlie and Doink Design for this one.